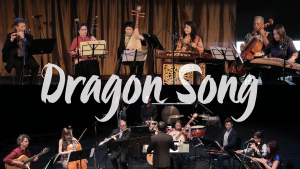 Melody of China will perform with Vancouver-based Sound of Dragon at the 2019 San Francisco International Arts Festival. The program will feature Melody of China artists with guests from Sound of Dragon ensemble including traditional Chinese and Western instruments. The program will feature several world premieres by composers from the U.S. and Canada as well as traditional repertoire. An exciting blend of Chinese and Western new music! Sunday, June 2nd, 2019, 6pm. Gallery 308, Fort Mason Center, San Francisco.